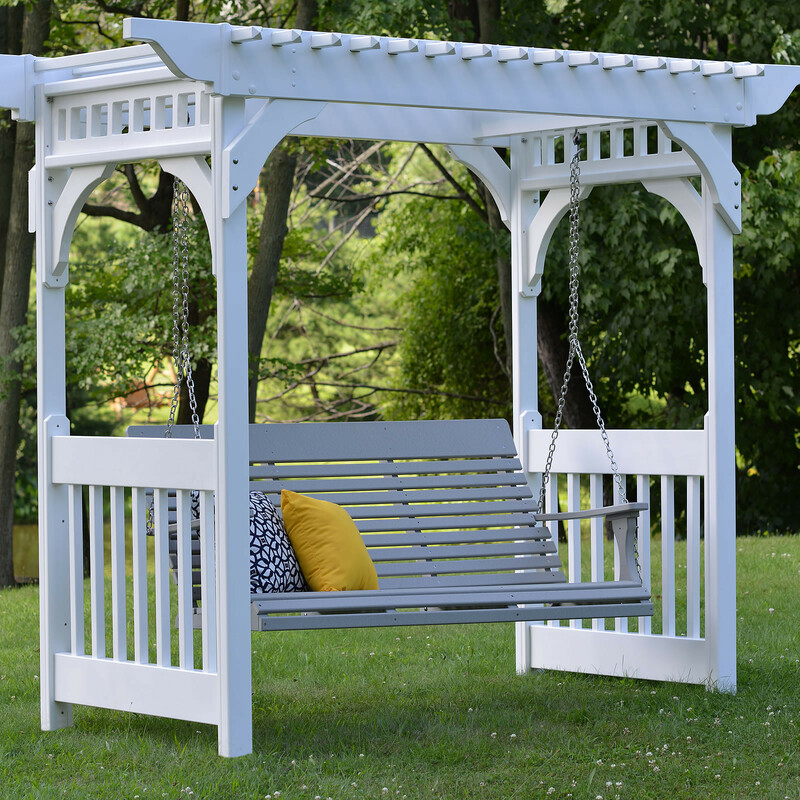 Berlin Gardens Collection 5' Casual-Back Swing can be easily hung from your porch! 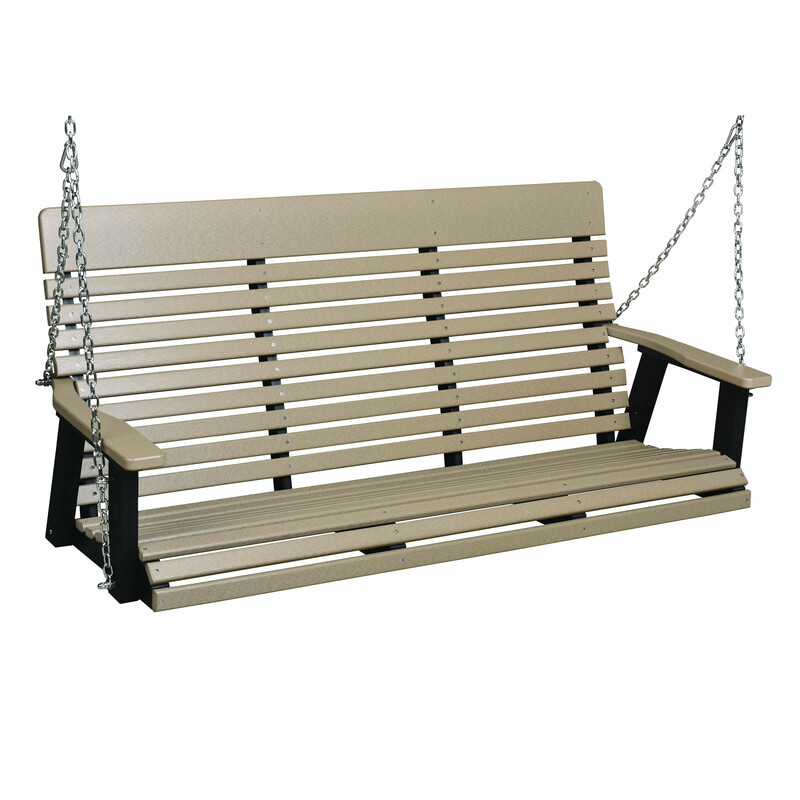 The contoured seat and back of this outdoor swing offer exceptional lower lumbar support. Handmade in the USA from the finest poly lumber - you can count on this Berlin Gardens Collection 45 Casual-Back Swing to never rot - warp - fade or splinter. Known for it's durability - relax and enjoy a lifetime of use.